One Day Gala Dinner with Veg - Non veg snacks, Vodka, Beer and Soft drinks AND Belly Dance Show. Arrive in Almaty. Meet Unique Tour Manager/Tour Guide outside of custom area who will transfer vo the hotel.Check into hotel.Transfer To Indian Restaurant For Gala Dinner including snacks,local liquor, exclusive local belly dance show and sumptuous dinner. After Breakfast at hotel go on a city tour with English speaking guide and see the major attraction in Almaty including famous monuments. After Lunch you continue city tour and visit and buy souvenirs from Zilyoni Bazar and Rahat Chocolate Factory. Transfer to hotel at 1800 hrs and dinner at Indian restaurant at 2030hrs. 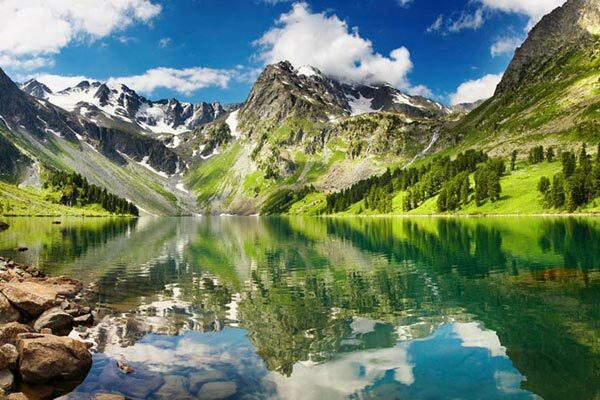 After Breakfast Start Excursion Of Beautiful Mountain Surroundings of Almaty City. Witness the Beuty of Medeo Gorge in the Alatau Mountain range and take a thrilling cable car ride to Shymbulak Ski Resort at an altitude of 2230 meteers.Packed lunch is arranged here and you return to Almatyat 1700 hrs.After that you have free time before dinner at 2030 hrs. Take Early morning Air Astana flight to Delhi or if you re flying back by Air Arabia,have Lunch AT 1130 Hrs.and proceed towards the airport.